Nikki – Exciting Salsa classes in Nottingham! Nikki is a professional musician/ percussionist and dancer working internationally and has been immersed in the culture and traditions of Cuba and the Afro-Cuban traditions for over 16 years. Nikki’s passion for Cuban dance and music started in 1998 when she first visited Cuba working as a composer working with various Cuban dance companies including Danza Libre folkloric dance group in Guantanamo as well as working on commissions for the International festival of contemporary music, Havana with UNEAC and the international dance festival Havana. Since then, Nikki has been visiting cuba regularly, studying with leading dance teachers from Conjunto Folklorico National, musicians, percussionists and dance companies including leading folkloric group Raices Profundos directed by Juan de Dios and studying percussion – Rumba and Bata. She has also studied with the great international masters of Cuban Casino Salsa and Afro-Cuban dance including Michael Fonts, Alberto Valdes, Yanet Fuentes, Yeni Molinet at international Cuban congresses as well as studying Afro-Cuban technique and body movement. 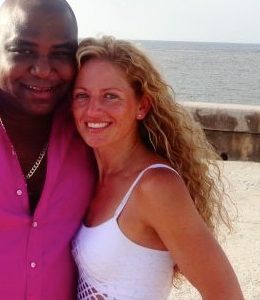 A regular in Cuba, Nikki is well connected to many of Cuba’s greatest musicians, dancers and bands. Nikki started teaching Salsa in the UK in 2000 with Soul Salsa, she has since danced in videos for leading Cuban Timba groups including Alexander Abreu and Habana Primera and with Maykel Blanco, featuring Maykel Fonts as well as for television. She was a semi-finalist in the UKA National Salsa dance championships, and won first prize for Rumba at the Cuban Salsa congress and has performed at international Cuban Salsa congresses as well as partnering leading artists in their classes. Nikki is committed to ongoing professional development and training and is passionate about sharing her love and knowledge of Cuban music and dance. Nikki also facilitates workshops in percussion and dance for community groups and in schools as individual private tuition. At Salsache, Nikki teaches Cuban Salsa partnerwork every Tuesday in Nottingham.